9ct rose gold 20mm etched butterfly detail heart locket. 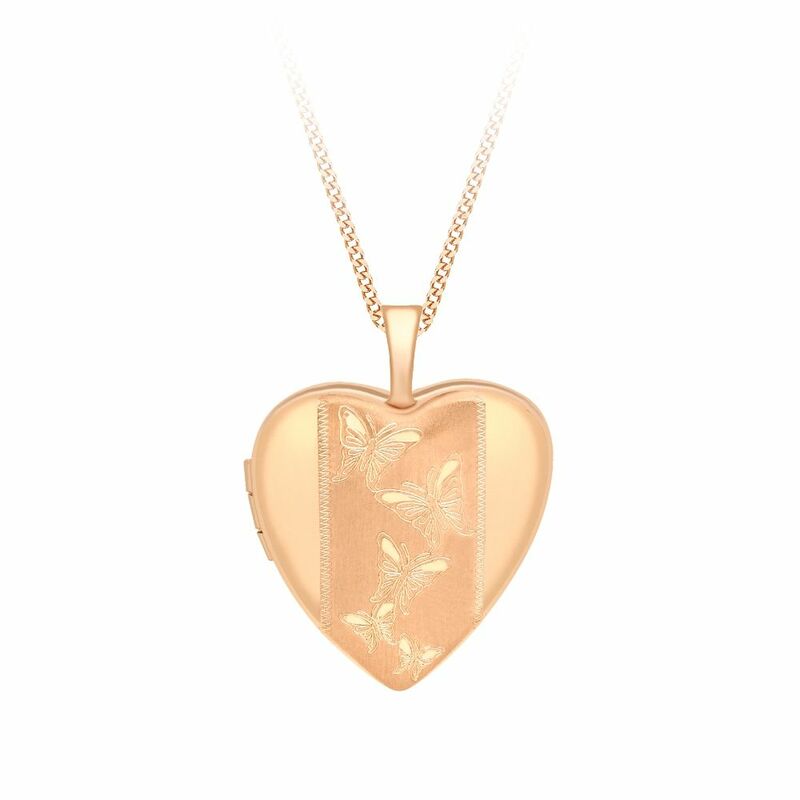 This classic rose gold heart shaped hinged locket measures 25mm in height including bale and 20mm in width. It is suspended on a 9ct rose gold curb chain. This locket has a wave pattern on the reverse so can be worn either side. Comes complete with presentation box. Please allow 3 working days for free UK delivery.